Today I have made a bunch of really cute cards, casing the pics out of the Holiday catalog for the Seasonal Bells Bundle! 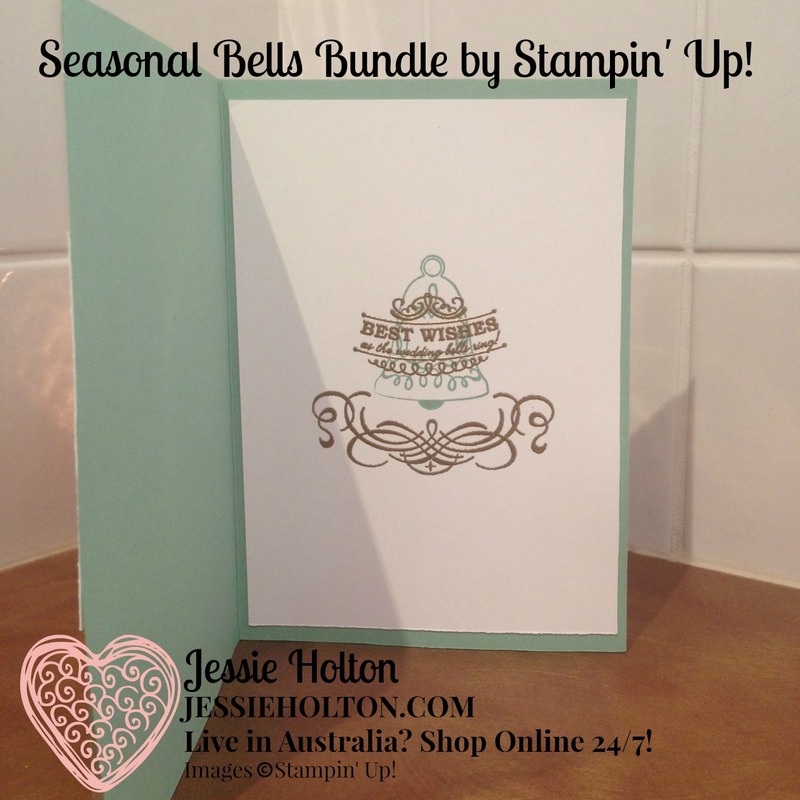 I have used a Mint Macaron cardstock base with a layer of the Fabulous Foil Acetate over the top. This stuff is awesome, comes in three patterns, is gold on one side & silver on the other! I love it! Just make sure you remove the backing sheet from the silver side. It's really hard to even see it's on there but if you fiddle with the edge, it will come away. 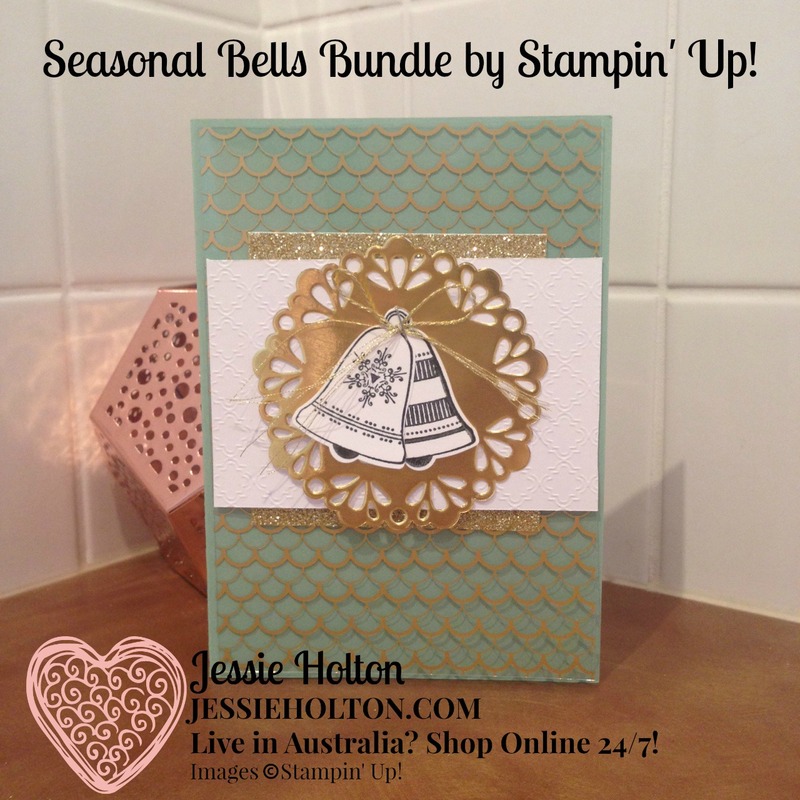 I have used a 7.5x7.5cm piece of Gold Glimmer Paper & a 6.5x10cm piece of Fancy Frost Specialty Designer Series Paper, layered with a Gold Metallic Doily & a couple of the bells from the Seasonal Bells stamp set, inked in Momento Black on Whisper White cardstock & cut out with the matching Bell Punch. I have tied a Gold Baker's Twine bow & stapled the whole lot together, using tear & tape to stick the Acetate between the above bundle & the Mint Macaron card base. 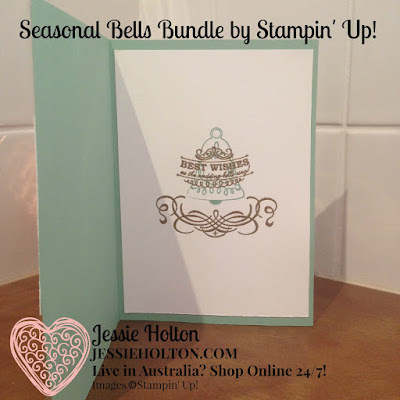 Inside, I have layered Whisper White cardstock & stamped another bell with Mint Macaron. 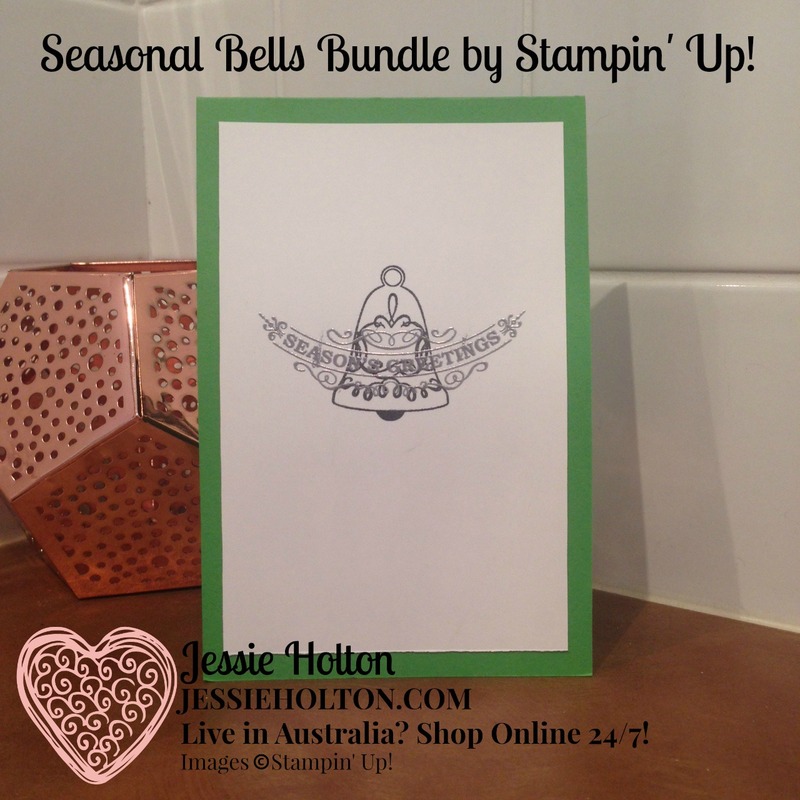 I have heat embossed the sentiment & flourish (also from the Seasonal Bells stamp set) in Gold. 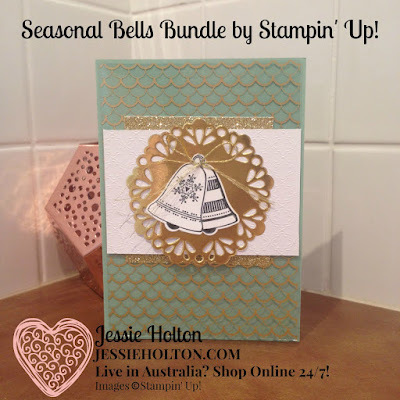 I have entered this card into the Crazy Crafters Team Project Highlights for this week. You can check out all the entries & vote for your favourites from 7.30pm tonight. Next, I have used the same design to make some Christmas Cards, just by changing up the colour & the sentiment inside! I have used Cucumber Crush with Silver Glimmer Paper & a Silver Doily. I have used the dot pattern Acetate & flipped it over so you can see the silver side. I have used Linen Thread to tie the bow. 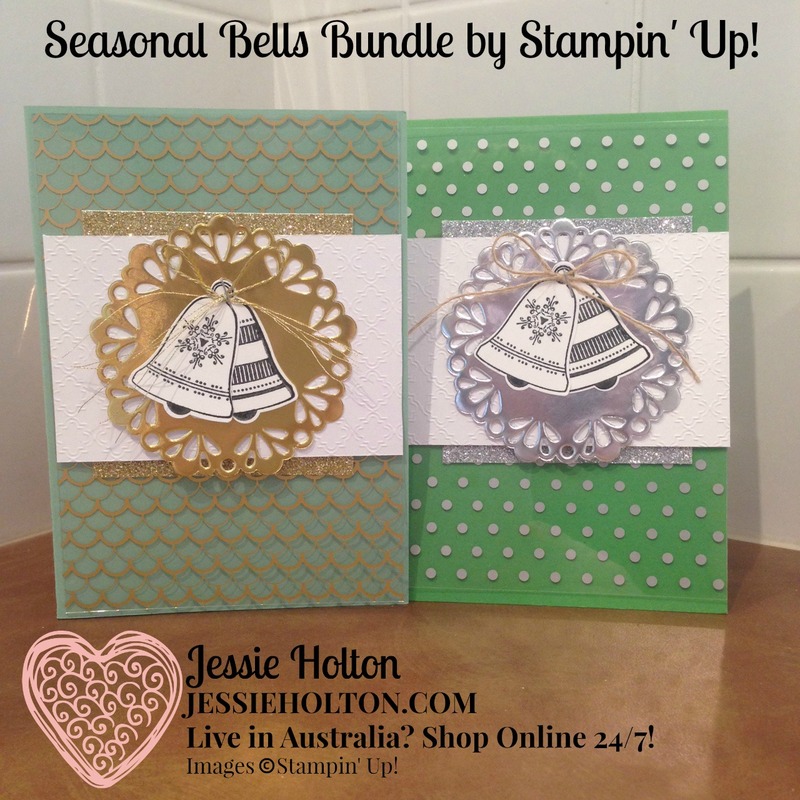 I also made a bunch of these in Cucumber Crush & Gold, which you can see in my video below. 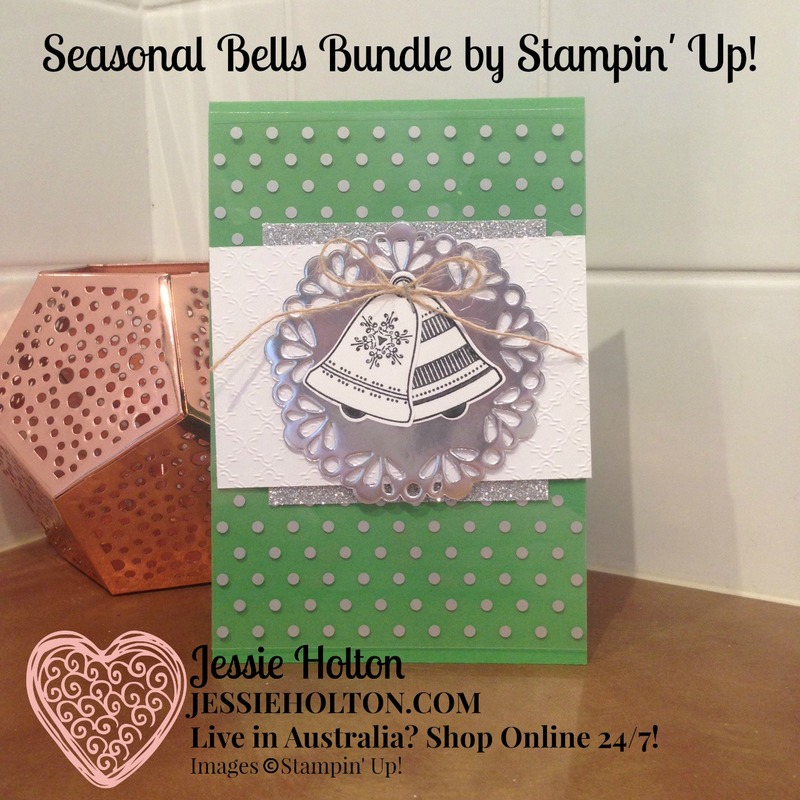 And Silver heat emboss over a Momento Black bell on the inside to match the front.